FingerTec Websites: Help Yourselves with Our Vast Assets! We have hundreds of resellers around the world. I can say that all of them know that fingertec.com has a decent website. The question is, how good is our website? I believe some of our resellers are yet to find out the benefits that our website could bring about. So, when I have the chance to meet up with our resellers, mostly I will end up promoting how they could exploit the websites to boost sales and reduce technical supports. It might sound like a broken record, but I believe that this is important. 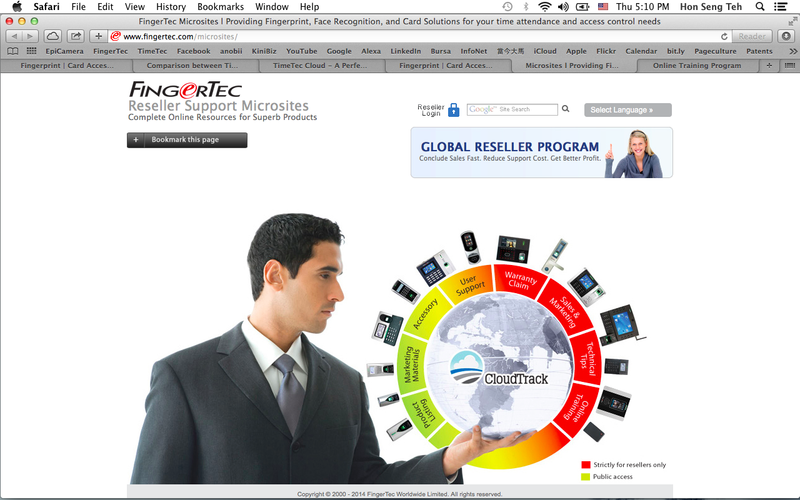 Many resellers were probably blown away and overwhelmed by the website’s vast ocean of information when they first visited fingertec.com. FingerTec is indeed doing a good job; and usually they will give us thumbs up for the effort. And they would browse, read the contents, but after a while, I reckon the visits become less and quick, hopped from one page to another, and eventually they’d stop visiting. To some, business will continue as it is and nothing is plucked away from the website to better their sales and support. They’ll just praise us for having a strong and better presentation than the rivals in the cyber world. And this is not what I have hoped for. In fact in the Internet era, the functionalities of a website should be so much more than a mere declaration of the cyber presence. The level of commitment can be varied. For example, like Facebook, website is them. There is no Facebook once you went offline. And for Amazon, this company literally doesn’t exist in the real world, no matter the vast list of merchandizes they’re offering. But for companies like Wal-Mart, even though they began with physical stores, without online establishment, the future looks somehow bleak. 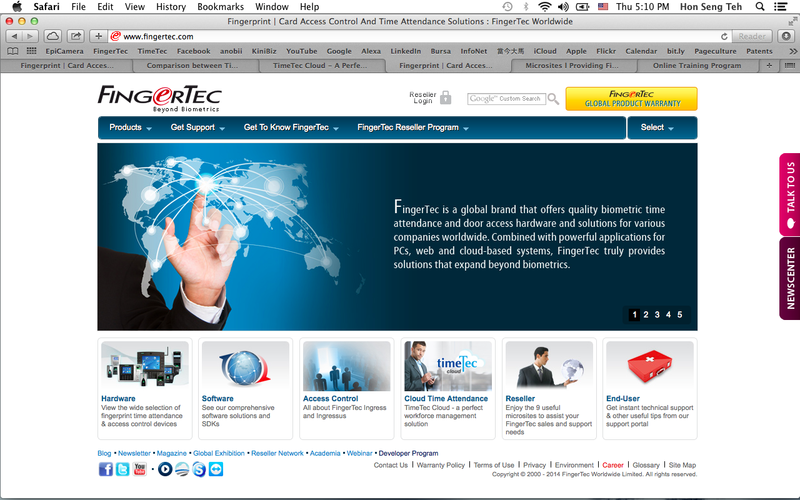 With FingerTec, our brand soared high only when we revamped and re-launched our website a few years back. Bit by bit, we put our efforts into building a resource center, training site, display cabinet, technical helpdesk, service booth, and etc. Whatever you want to call it, potpourri-of-information-website or a salmagundi-website, this website is there for our resellers to unleash the virtual power to boost their sales and reduce supports. We provide resellers with free passes to a vast variety of information, a member account credential. Without this account, you will only receive discounted benefits from our website. The only thing that is stopping you from digging the information to better the business is you. 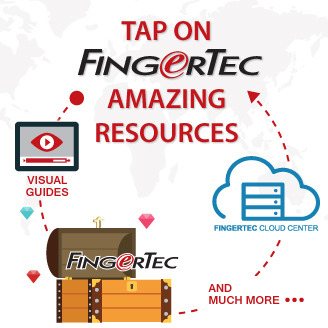 As someone who buys FingerTec products for business, always remember to enter the website with a strong motive, and leave with something valuable. What is of value on our website, is depends on what you’re looking for. For example, there are 769 video clips so far, from marketing, product intro, technical supports, user guides and etc. Take the links to help you in your sales bid presentation, user training, hardware repairs, and much more. It doesn’t cost you a thing and it adds value to your efforts. You have a plan to demonstrate FingerTec at a customer site? Come prepared. Choose your demo set from our website. You need step-by-step Powerpoint presentation materials, search and download them without any cost. If you want raw files to update and insert your company’s information, please do so. If you want to conduct a proper survey on your customer’s premises before you can prepare a proposal for an access control project, please get the form downloaded from our website. We have a series of academic research papers for technology and industrial in readily print-format should you want to enhance your professionalism in submitting proposal or pricing quotation. Don’t forget that we also have a training website with comprehensive materials at your disposal to train both trainers and trainees. After training, they can sit for online exams and receive our print certificates upon passing the exams. 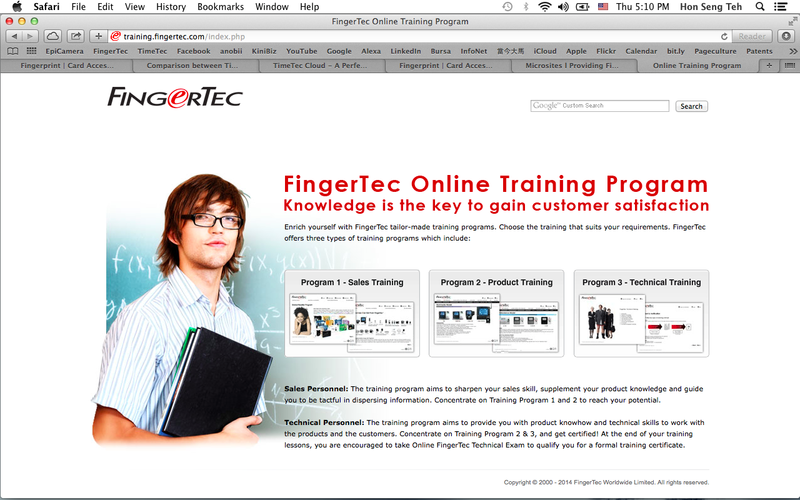 For a more interactive online training, we offer FingerTec webinar page to register a course of your interest. You want to train your partners in your region remotely by deploying our webinar platform? You’re welcome to use our webinar platform, cost-free, no-fee involved. These websites are enriched to assist you in reducing technical supports. Promote and educate the end-user technical modules to your customers. You can teach them to repair hardware through videos and how to claim warranty straight from the websites. If you need to provide your customers with FingerTec’s souvenirs, require some from marketing material page, we have over ten specially designed souvenirs displayed on our website for you to choose from. Basically, FingerTec's job is to prepare resources that you can use to better your FingerTec business. We figured that you might need assistance so we extend our support through our websites. Please be hungry for new things, new information and keep coming to the websites and help yourselves with everything that we have to offer. "Verified," a fingerprint-recognition device chirped back at Ryan after he placed his finger on the reader. "Verified," a facial-recognition device said to Ryan after scanning his face. Ryan works at the American headquarters for FingerTec, a Malaysian company replacing PINs, usernames, and typed passwords with fingers and faces we don't need to memorize. "You can't copy someone's fingerprint unless you chop it off," Ryan said, "which wouldn't work because it has to be attached to a hand." "One nine, zero, seven, five," Alexy Khitrov said to his phone. Alexy recited that random list of numbers aloud, while his phone scanned his face, and -- without pressing a single button -- he logged into his online banking account. "There are over 70 parts of the human body that create the human voice," Alexy said. And -- for all those impersonators out there -- we can control only 15 of those parts. Alexy founded SpeechPro, which sells voice-recognition software. He estimates 50 million to 60 million people worldwide already use a voice log-in. And that figure doubles annually. "Passwords are dead," Alexy said. "They are so 20th Century and we're in the 21st Century." In a world where nearly every ATM now uses an operating system without any technical support, where a bug can force every user of the Internet to change the password to every account they've ever owned overnight, where cyber-attacks and identity theft grow more menacing every day, the ability to use your voice, your finger, your face or some combination of the three to log into your e-mail, your social media feed or your checking account allows you to ensure it's very difficult for someone else to pretend they're you. "The system is essential broken," Bionyn CEO Karl Martin said. "The idea that technology uses this secret string of letters and numbers to know who we are and we have to remember [that string of numbers and letters] is archaic." Biometric innovators like Karl continue to develop new ways for our bodies to sign in for us. Martin's Nymi bracelet, for example, allows users to enter a password with only the beating of their heart. 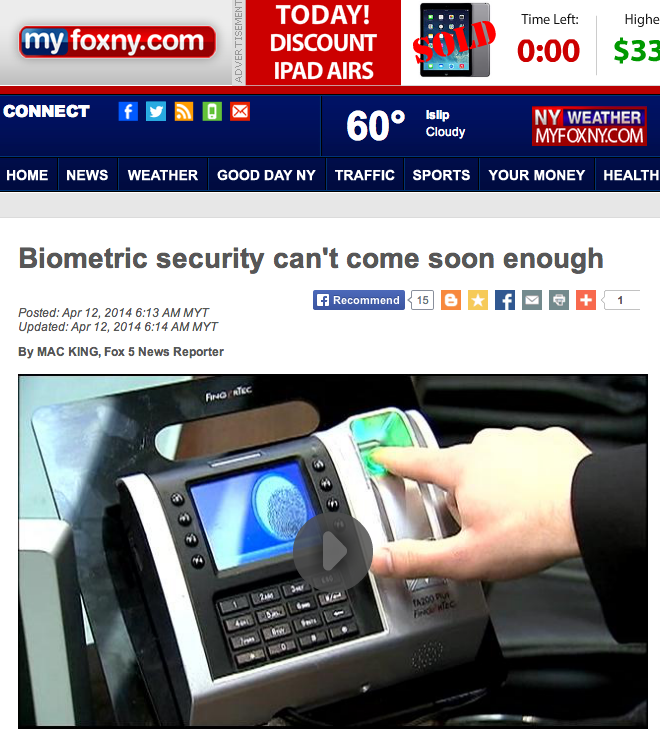 Whether hardware or software, implementation all of these biometric advances requires an overhaul of infrastructure. The good news about the death of Windows XP is that it forces banks to upgrade the security systems used in their ATMs, allowing at least an opportunity to implement some new technology. Quoted by Neil Armstrong as he planted his footprint on the Moon, “This one small step for man, one giant leap for Mankind”, is indicative of a time when a footprint was an identifying marker. We’ve all witnessed a British investigative film from the 19th Century, arresting the perpetrator as the imprints from his shoes matches the evidence from the crime scene. With the evidence in tow, they travel a substantial distance to store the shoes at a central location. Now imagine if Neil Armstrong decided to do a cartwheel off his shuttle and landed on his palms. What would he have said? “One small print for man, one giant database for Mankind?” Would arresting officers have to travel to a physical location to give and take evidence? Not with the future FingerTec is constructing. Cloud Applications cannot be complete without the functionalities of a Software Development Kit. SDKs are frequently referred to as Application Programming Interfaces (API) although they are variants of the same category. Don’t quite get it? 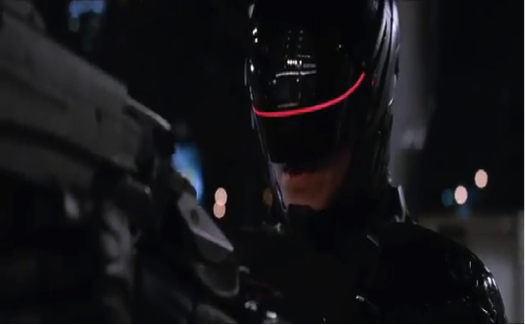 Think Robocop, his bionics are the API, his organic remains were “created” by a SDK to interact with his computational parts. Or is it the other way around? Developing our SDK platform required a lot of hard work and careful planning. An echo of Lao Tzu’s “A journey of a thousand miles begins with a single step”, we devised a blueprint to take us on the ride of a lifetime. 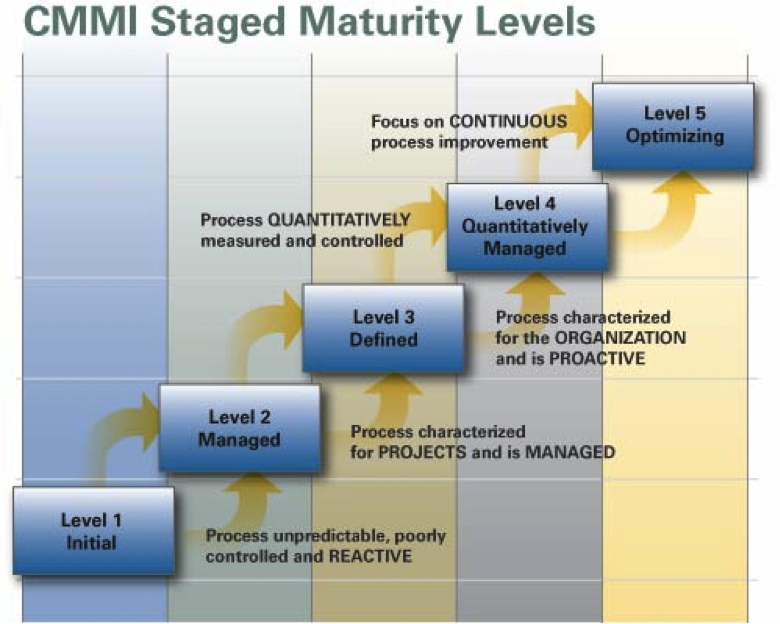 In alignment with our company’s vision, our Software Development Kit adheres to the Capability Maturity Model Integration (CMMI) standard . The CMMI was established under the wing of the Software Engineering Institute (SEI) at Carnegie Mellon University including leading industry and government experts. 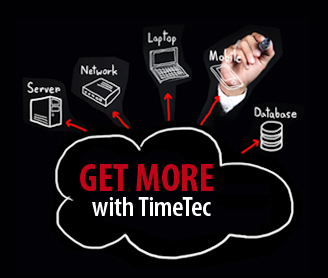 TimeTec’s SDK evolution will be wrought with complexities as we continue our efforts to coax its maturation, an accomplishment of which we are already victorious. In its current phase, the Cloud SDKs fundamental functions are authentication, retrieval and the downloading of data from a majority of existing modules. Users will be able to view live attendance data. Third party software can be used to process and filter transaction logs. Developers and programmers are the primary utilizers of software DKs. 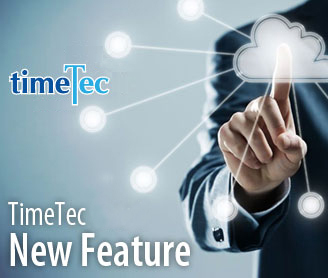 However our TimeTec Cloud differs by our aims to assist our subscribers in enabling a Windows based application to connect directly to our Cloud, by releasing the Open Source TimeTec Cloud Demo Application. 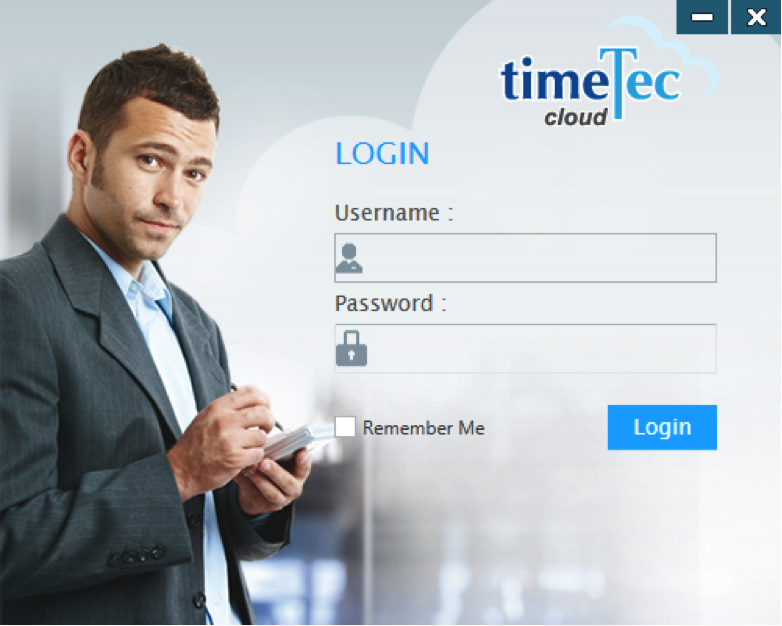 As an Administrator, you will be able to view attendances without logging into TimeTec Cloud. The Demo Application is a step forward for software enthusiasts. It uses the Metro User Interface  and navigational concepts. We aspire to provide our subscribers an experience not limited to the web but also from a Windows based application. IT Cloud environments are constantly evolving. That’s the beauty of our Cloud Demo App. As an open source application, any customizations can be made to our code without fears of infringement(s) of any Data Protection Acts. In addition to interests in our Demo Application, we provide support to our partners by offering sample PHP codes for their integration, either by a Windows Application or PHP via a web platform. In our second phase, with a preferable completion date by the end of 2014, we will extend its capabilities to enable users to modify configurations and perform updates for all modules. Third party software vendors will be able to perform updates seamlessly. By the end of 2015, our last phase aims to automate tasks, enable batch import & export features, generate reports and more. Our focus is to automate the process and simplify workflow. 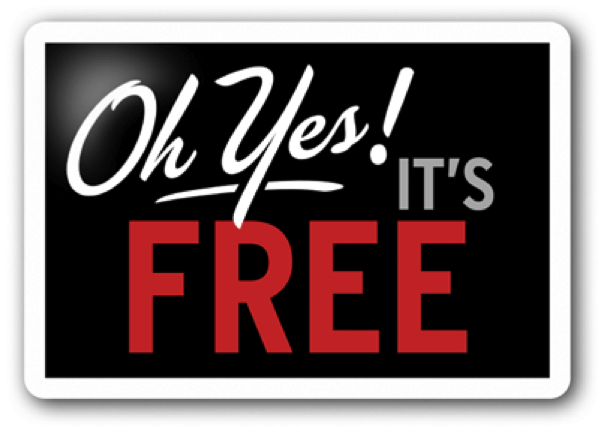 Unlike most Cloud Partners who charge a fee for access their Cloud’s SDK, TimeTec’s Cloud SDK is now offering premium access to all active subscribers for FREE. 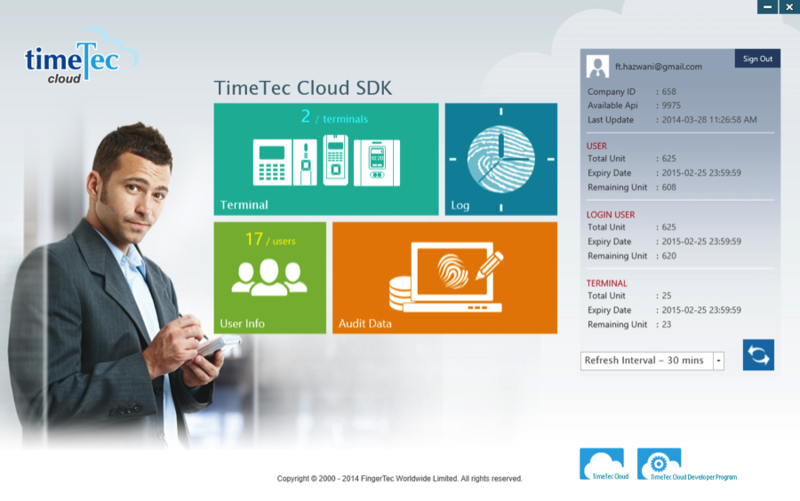 If you find yourself in doubt over TimeTec Cloud SDKs complexities, you can find available resources including manuals at FingerTec’s Developer Program. As always, we appreciate feedback, and welcome you to submit your ideas.